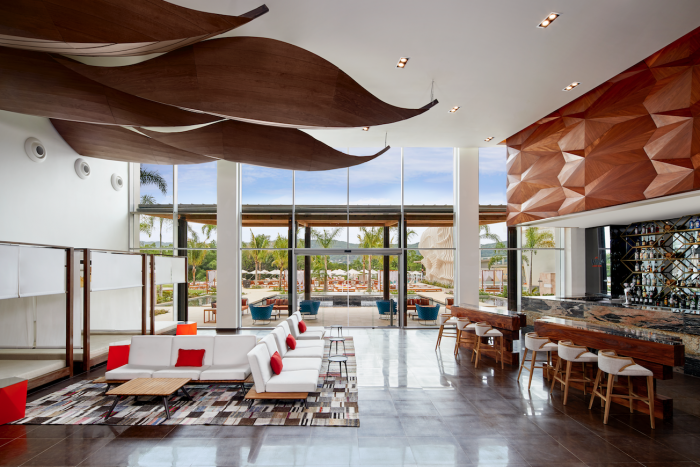 This new adults-only resort just opened in February 2017 and is surrounded by the Montego Bay Marine Park. With beachfront cabanas, tranquil pools, and butler services that allow you to experience ultimate levels of relaxation, as well as endless activities, lounges, and parties, Breathless Montego Bay offers something for everyone. 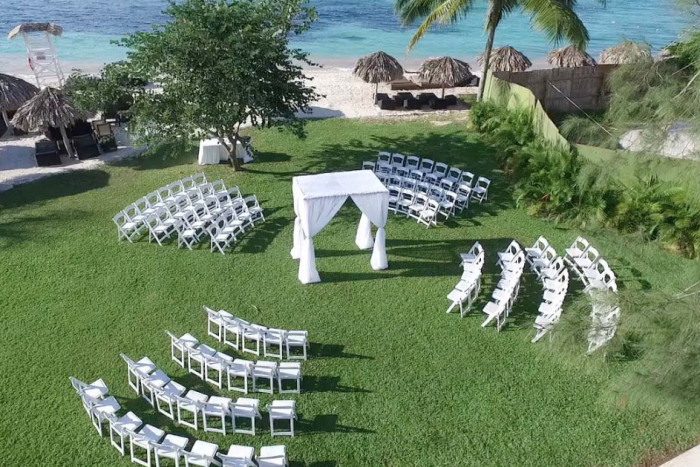 Make your dreams come true, and have your Montego Bay destination wedding as lively and exciting, or as small and intimate as you wish. 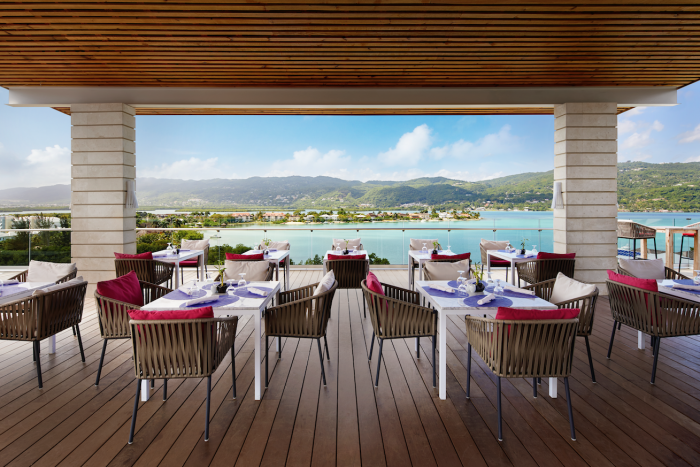 Enjoy exclusive access to the Altitude Rooftop Bar, which is the only rooftop pool in Montego Bay, which offers stunning panoramic views of the mountains, ocean, and bay. 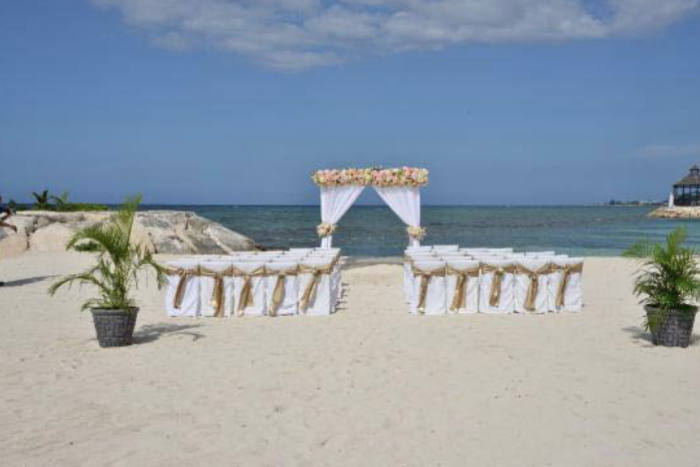 The resort offers the Beach Club to its guests, which is an exclusive section for Breathless guests with a grill, bar, palapas and waiter services, to make a perfect place for you and your wedding guests to relax together! Xhale Club guests have exclusive access to the rooftop infinity pool, bar and indian restaurant from 10:00am until 6:00pm, after 6:00pm all guests have access. As Breathless Resort’s preferred partner we are able to offer our couples exclusion inclusions like spa treatments and romantic dinners on the oceanfront. Contact us to find out more! Ballroom – 400 guests max, Barracuda Beach – 350 guests max, Beachfront Casita – 150 guests max, Marlin Lawn – 100 guests max, Marlin Beach – 60 guests max. The resort hosts no more than 2 weddings per day Monday thru Saturday, held at either 12pm or 3pm. No weddings will be held at the same time. Rooms range from $215 – $365 per person per night. Every room includes wifi and a private terrace with a jacuzzi. Guests staying in the Junior Suite Ocean View or higher room category will receive personalized butler services. There are 150 total guest rooms with views of the bay, garden, or mangrove. For guests looking for top-notch luxury, you will enjoy the Xhale Club Junior Suite Swim-Up and Xhale Club Master Suite Swim-Out, both which have direct access to a pool. Connecting rooms are available upon request. All rooms allow up to 3 adults max. The Xhale Club Master Suite Swim-Out and Xhale Club Presidential Suite rooms both include separate bedrooms and living rooms. 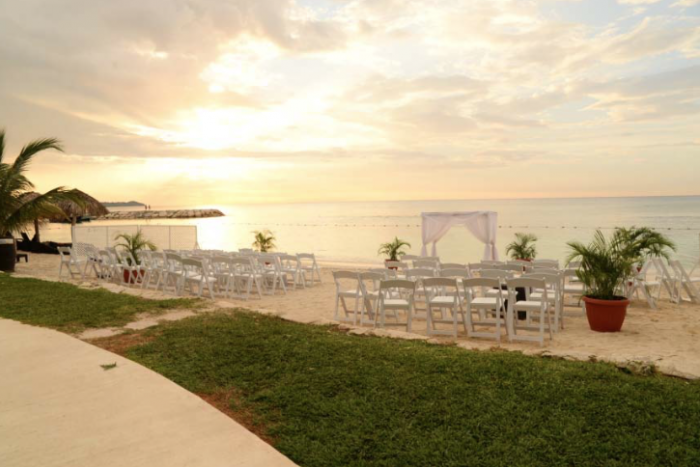 Breathless Montego Bay is located about 5 miles from the MBJ airport. All rooms allow up to 3 adults max. The Xhale Club Master Suite Swim-Out and Xhale Club Presidential Suite rooms both include separate bedrooms and living rooms. This resort is adults-only for guests 18 and older. Breathless Montego Bay is located 5 miles from the MBJ airport.